A black Italian athlete named Daisy Osakue, 22 has been wounded in an alleged racist attack, Daily Mail reports. Osakue was stoned with an egg by ‘racist’ attackers in Italy as she was crossing the road in the northern city of Turin. The attack happens to be the latest in the recent alarming rise in racist violence in the country. 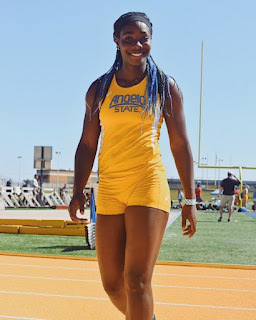 Osakue whose parents are originally from Nigeria, holds an Italian citizenship and was expected to compete for Italy in the European Athletics Championships next week. Unfortunately, it is uncertain if she would be able to compete in the track-and-field championships because eggshell fragments injured her cornea. She pointed out that there were other people in the vicinity at the time but she was singled out. In a recent interview with an Italian news agency ANSA, Osakue referred to right-wing political rhetoric targeting foreigners.